I knew it was going to be a super fun shoot when I didn't need to look at their address to find their home, but rather just follow the pizza man to their door. 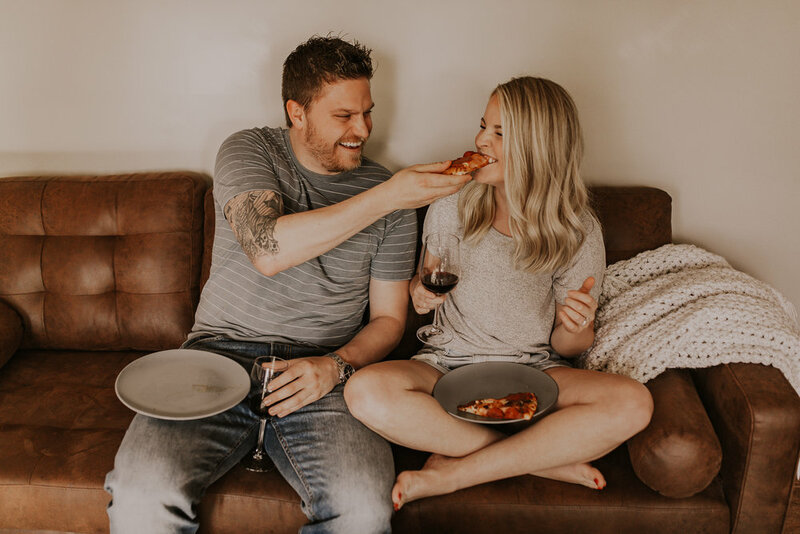 How much more comfortable can an engagement session be when you're at home wearing sweatpants, chilling with your pup and drinking wine while watching Friends? Let's try to beat that! I got so excited when Carly mentioned the idea because she knew exactly what Steve and her would be most comfortable with and she kept it within their element. We ended our session by blasting country music and dancing around in their living room. It was such a fantastic shoot!